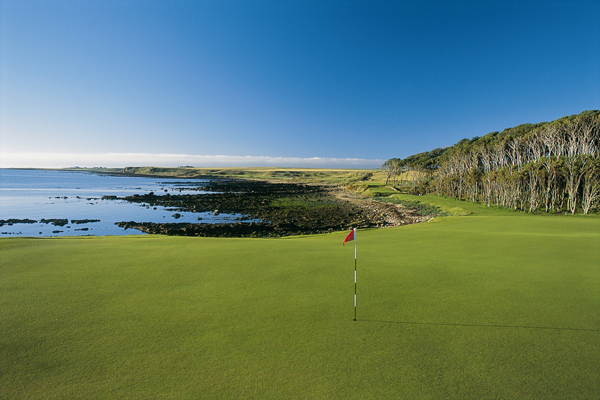 Kingsbarns Golf Links is delighted to announce its selection to host the Ricoh Women’s British Open in 2017. Located near St Andrews, the highly rated links course has been a part of the men’s European Tour annually for 13 years earning a reputation as one of the most admired venues on the circuit. This will, however, be the first time Kingsbarns will host a Major Championship. Consistently ranked as one of the top golf courses in the world, Kingsbarns has co-hosted the Alfred Dunhill Links Championship for over a decade. During this time the course has won praise from touring pros and celebrities alike who admire the traditional Scottish links design with views of the North Sea from every hole. After successfully hosting final qualifying for the Ricoh Women’s British Open in 2013 when initial assessments were made by the Ladies Golf Union, Kingsbarns is now part of an established Open rota.